The passionate pursuit of my spiritual interests continuously propels me into deeper magical territory. Perhaps you are looking for something similar? 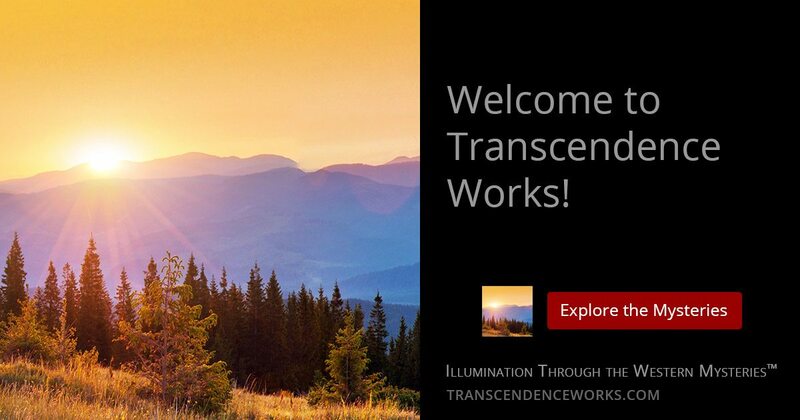 When you first discover Transcendence Works you might just be starting to learn about the Western Mysteries: particularly, practical alchemy and real magic. Whether you have been around the crucible for a long time or just getting started, great information will be posted here that may be of further assistance to you on your personal journey through the Mysteries. I simply appreciate the opportunity to have this internet presence, and to connect with you through our online esoteric community. And, I truly want to encourage those who are seeking real magic to continue the quest for Transcendence. I will post here as often as I can along those lines… so come back to visit now and then and see what’s new. P.S. If you would like to post a “hello” back and leave a comment, then please do so below. It would be nice to hear from you!